Based on the 2-day Lean Change Agent workshop, this self-study version allows you to progress at your own pace and get support through online discussions, and Lean Coffee sessions with Lean Change Management author Jason Little. Personal instruction, screencasts, and detailed instructions for completing exercises are included. 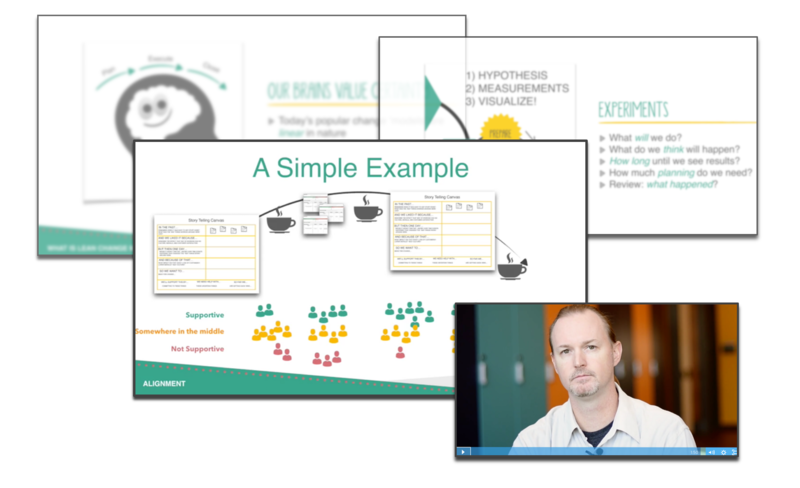 Instant download of eVersions of Lean Change Management and all tools and templates in the course. Get your questions answered via online discussions, and monthly Lean Coffee sessions. 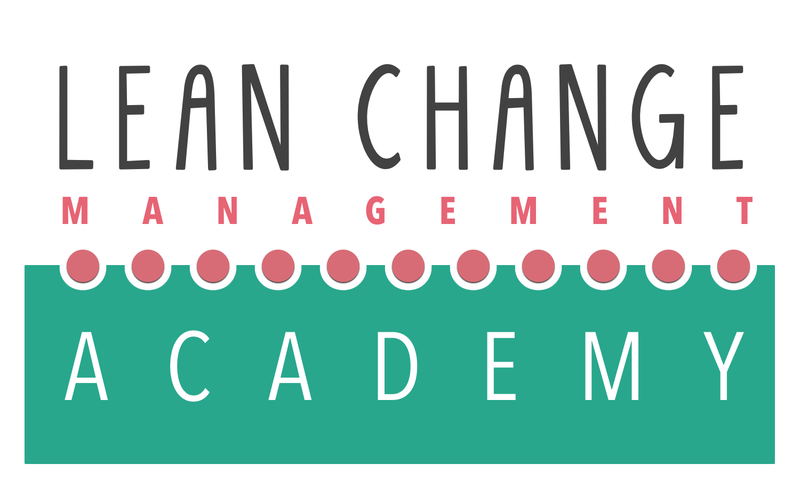 Module 1: What is Lean Change Management? Prices are in Canadian dollars, and by signing up you get access to the course for up to 6 months. Save by paying upfront, or page over the term of the course. Can I become a facilitator after taking the self-study course? All courses are billed in Canadian dollars. I'd prefer to learn with other people, is that an option? YES! This Self-Study version allows you to interact with others via our private community while quarterly cohorts allow you to learn directly with other attendees. How do I get help with the course? There are open discussion in the course, as well as a bi-weekly Lean Coffee session with Lean Change Management author Jason Little, as well as a private community! How long do I get access to the material? Upon successful purchase, all content is available for 6 months. I can take courses on Udemy for $29, why is this so much? You get what you pay for! This course is designed to mimic the in-person workshops, gets you access to a private community to connect with other attendees, and you can access to the author of Lean Change Management, Jason Little for ongoing help and support.